Let me preface this by saying that I can’t stand self-righteous animal people and bird aficionados tend to be the worst: there is nothing more tedious that someone worrying about a bird being denied freedom when we’re trying to nurture it for a return to the wild. 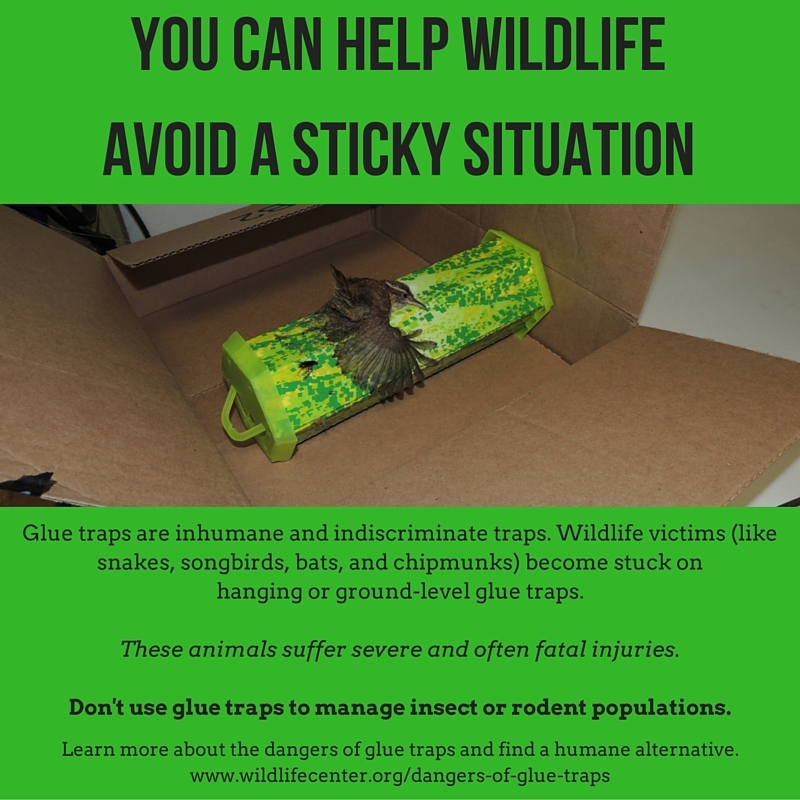 But glue traps have got to go. 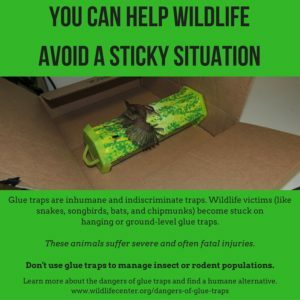 Every season we get heart-rending cases of birds caught in glue traps (also known as glue boards) that have been set up to catch other pests such as insects or rodents. I have a victim now. 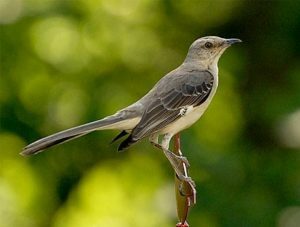 A mockingbird that got caught and the only way to free it was to pull out its tail feathers and cut its primary feathers. The choices are now pulling the primaries so they will grow in faster or hope that the feathers will regenerate in its natural molt. Luckily, it should molt in August, so I’m hoping nature will solve the problem. So it now has an all-expenses paid six-week stay at my Two Seasons hotel. It is understandably not happy about that. The Humane Society calls glue boards “cheap, cruel, and indiscriminate.” I have to agree with them on this one. Please, don’t use them. 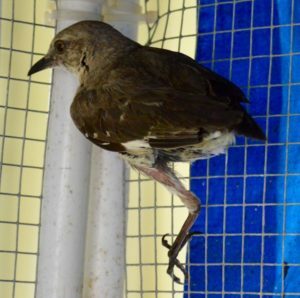 It’s one thing when people accidentally injure a bird but it’s another to deliberately use a device that, at best, will torture the critters it’s supposed to catch and at worst will maim creatures that just happened to land up in the wrong place. There’s even a campaign to outlaw glue boards, which have been banned in some countries.